My Uncle in LA always takes us to the best places! 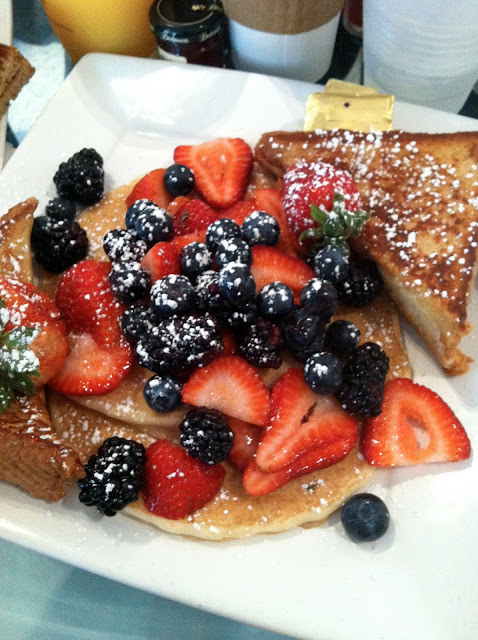 When we had a chance to have breakfast with our grandparents, he suggested the nearby Larchmont Bungalow. Not only was it on the most adorable street near a farmer's market, but it was just jam-packed with everything delicious. Things I didn't eat... but wanted to. More things I wanted to eat, but didn't. 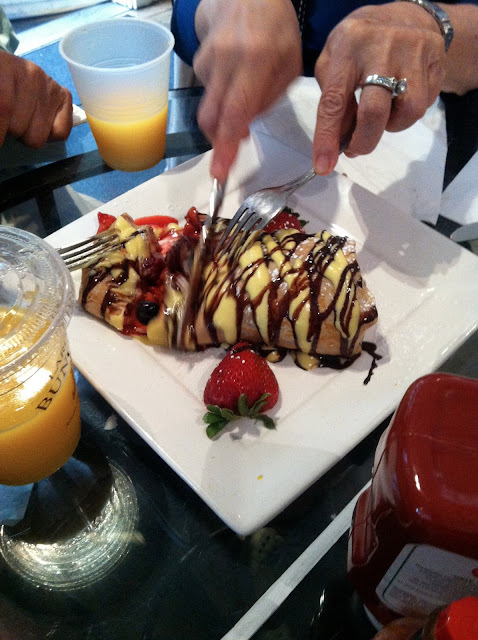 We ordered a variety of breakfast foods to share... from vegetarian omelets to crepes to French toast and pancakes! Everything we had was good. You order at the counter and seating is first-come first-served, but they bring everything to your table. It's just very good food. 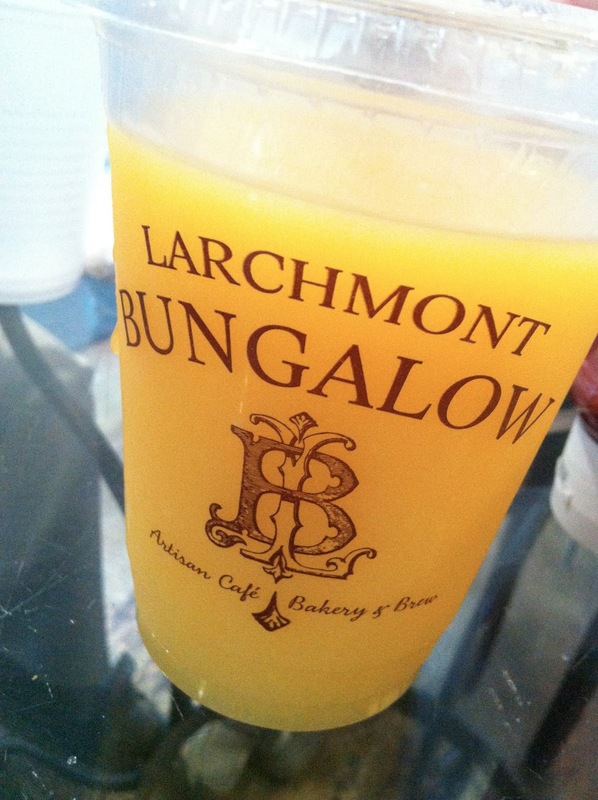 I'd go back to Larchmont Bungalow in a heartbeat... if I lived in the area, it would be a regular favorite! Looks like a wonderful place! I am getting hungry!